Slogans seem to dictate a lot of our modern fashion choices and t-shirt tribes. Whether you’re wearing a Slayer shirt and hoping no one asks you what your favourite track is because you can’t remember the tune to Raining Blood, or rocking an indie film t-shirt without having seen it for kudos on the streets, we pick and chose our clothes hoping they’ll make us look a certain way to people we’re trying to impress. 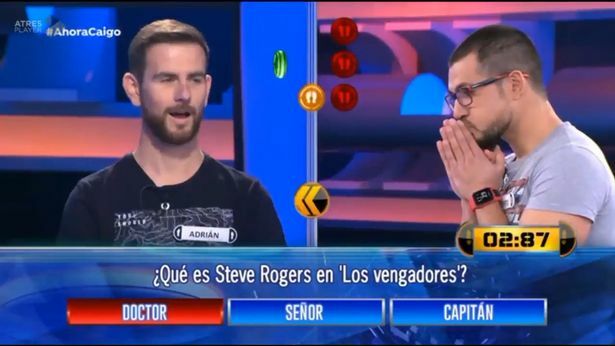 The contestant, named on air only as Alberto, appeared on the popular Spanish quiz show Ahora Caigo – which translates to Now I Fall – in which hopeful participants go head-to-head for a top prize of 100,000 euros. 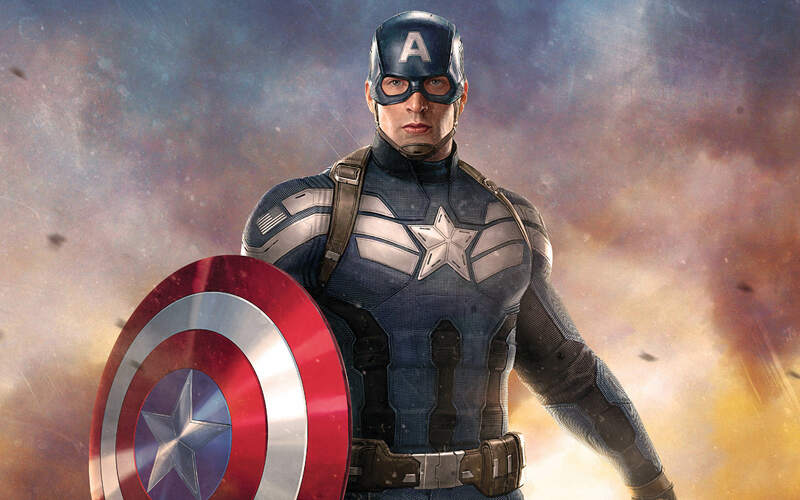 What is Steve Rogers in the Avengers? ‘Doctor’, ‘Sir’ or ‘Captain’. The answer to this question was closer than Alberto thought – on his t-shirt, in fact. 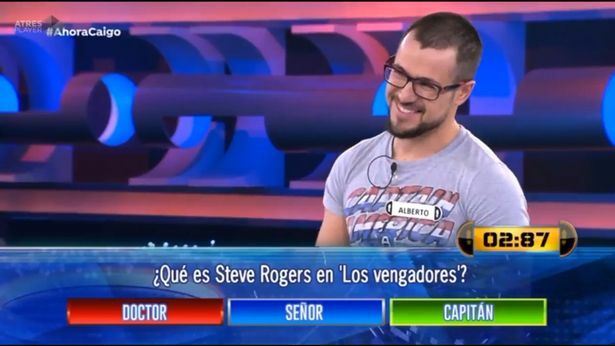 A pretty easy question considering the prize money at stake, particularly for a Marvel fan, presumably like Alberto, who even has an Avengers t-shirt on for the televised occasion. But, even though the host pointed in the direction of his shirt, and his rival contestant smiled in disbelief at his unbelievable luck and his opponent’s unbelievable ignorance, Alberto could not summon the answer. Unfortunately for Alberto, his moment of televised shame is proving popular around the world after being shared on social media. This guy is like the ones who wear Nirvana shirts just because they’re trendy! To be fair, it could be worse. Take Sarah and Mariam, two best friends who appeared on the popular British quiz show, Pointless together. Little did they know it would be the breakdown of their friendship, live on air, for a shocked nation to behold with their head in their hands. Mariam, a Geography student, was asked to name a country that ended in two consonants, and wracking her brain, she came out with the answer that had her best mate despairing and rolling her eyes with the rest of the nation. That’s wrong on a number of levels, as host Richard Osman pointed out – the primary problem being Paris is not actually a country – not to mention the fact that the letter ‘I’ is not, in fact, a consonant at all. Had this woman never watched Countdown? Had Alberto never watched Civil War? What is wrong with some people? Admittedly it must be hard to be on your top performance with all those cameras pointing at you, knowing you’ll be tested on your every word. But still, next time, take a deep breath, don’t panic, check your t-shirt and try not to make a fool of yourself live on television.